The Multistate Bar Exam (MBE) is the multiple-choice section of the Uniform Bar Exam (UBE). 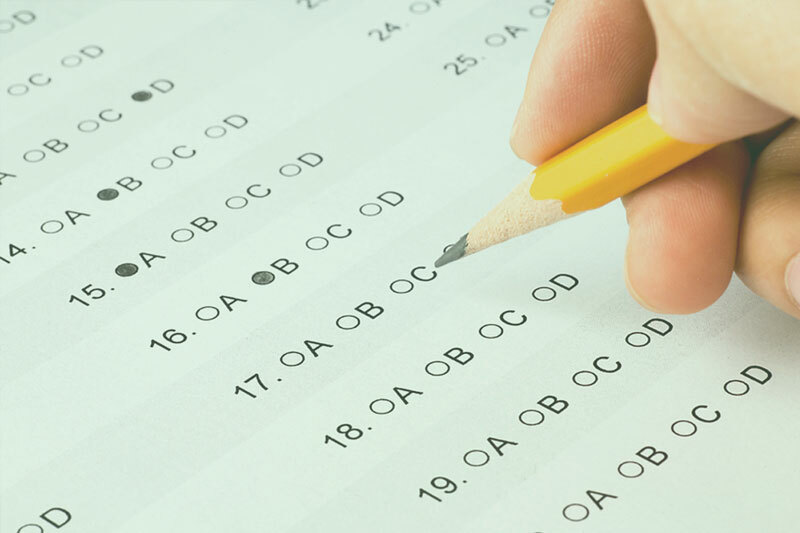 Test-takers must answer 200 questions in the allotted amount of time, but not all of them are scored because they're considered pretest questions. Unfortunately, you don't know which ones those are, so even though you may feel tempted to skip a couple questions, you could significantly hurt your final score if you don't answer all of them. Test-takers should be aware that the MBE has recently been revised. According to the National Conference of Bar Examiners (NCBE) website, the number of questions that won't be scored on the MBE has increased from 10 to 25. So, instead of 190 of the 200 questions counting towards your UBE score, only 175 will count starting February 2017. Erica Moeser, president of the NCBE, sent a notification to law school deans so that they could inform their students. “The change was made in consultation with our testing and measurement staff with the goal of further strengthening the MBE,” she said. She insists that test-takers do not need to change how they prepare for the exam because the MBE’s format remains the same. Besides adding more pretest questions on the bar exam, NCBE also plans to release figures showing how well test-takers performed by subject: torts, civil procedure, evidence, constitutional law, real property, criminal law and procedure, and contracts. The motivation behind these revisions may be due to the continuing overall decline in MBE scores. Although there was a slight uptick in the most recent UBE results, the trend has been dropping, according to an article published by online, legal news source Above the Law, and it's been creating cause for concern among law schools.